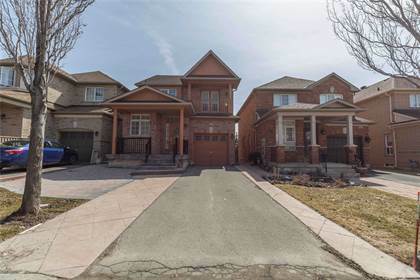 I am interested in 59 Santina St, Vaughan, ON. 59 Santina St is a - square foot House for sale in Vaughan, ON L4H2M1. It has 6 beds, 4 baths and was listed on Ovlix.com since March 4, 2019 by Re/max Hallmark Lino Arci Group Realty for $1,088,800. Listing agent: Lino Achille Arci. The average price for similar 59 Santina St real estate listings - $1,253,100 which is 15% lower than $1,466,414 for Vaughan, and 24% higher than $990,220 for Ontario. Comparable nearby homes are: 65 Lewis Dr, 58 Lookout Point Crt, 668 Chancellor Dr, 135 Lebovic Campus Dr, #th3 -8777 Dufferin St. What's near 59 Santina St, Vaughan L4H: St. Jean de Brebeuf Catholic High School, Behemoth (roller coaster), Freestyle (roller coaster), The National Golf Club of Canada, Time Warp (roller coaster), Maple High School, Leviathan (roller coaster), Maple Airport, Vaughan Mills Terminal.